Blackbox M10 review | What Hi-Fi? Blackbox is a brand created by Phitek Systems, a company that supplies noise-cancelling technology to a number of manufacturers. The M10s share similar design characteristics to the hugely successful Goldring NS1000s. 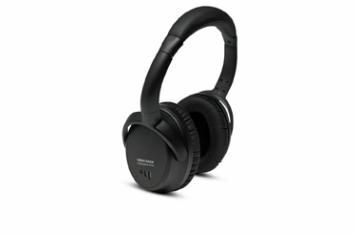 The ear pads are soft and comfortable, while the noise-cancelling technology does a good job for the price. One AAA battery should provide 40 hours of noise-free listening. The M10s offer good timing, and produce decent dynamics and ample bass. But, they don't sound as natural as the likes of Goldring, nor do they have quite the same level of transparency.